How do you engage kids in Coin Collecting today? 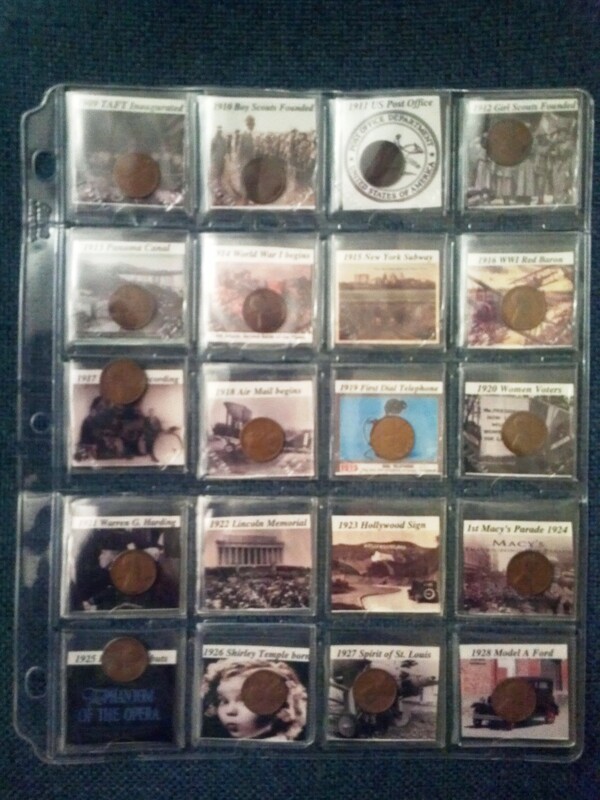 How about combining a bit of US History with Coin Collecting? “History – ugh!” you may hear from the kids, but what a concept! Let’s start with the Lincoln Cent. Abraham Lincoln was born in 1809. In 1909 the US Mint broke new ground by allowing Victor David Brenner to design a coin with the image of an actual person on it! According to historical documents, it was President Theodore Roosevelt who had the courage to commission the Lincoln Cent and to order the Mint to break new ground by having the image of a former President on the Coin. There is much history around the inaugural Lincoln Cent, and even more due to the controversy of Mr. Brenner’s initials on the coin! The US Mint removed Mr. Brenner’s initials from the dies that struck the Lincoln Cents halfway through the year. Because of this, the 1909 V.D.B. and the 1909-S V.D.B. are some of the rarest Cents today! Here is a fact some may not know: a 1909-S (San Francisco Mint) V.D.B. Lincoln Cent in “Almost Good” AG3 condition is worth $650.00 Retail, and the same coin in “Mint State 67 condition still having its Red color” (MS-67R) is worth up to $100,000.00 dollars! Click here to see this beautiful cent! 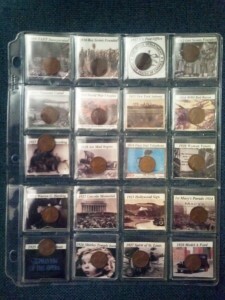 Below is a picture of a sheet of 20 2″ x 2″ coin flips designed to hold and display any collectible coin. One of our members has printed 1.5″ x 1.5″ photos of significant events in history from each of the years of the Lincoln Cent, beginning with 1909. Now young coin collectors can learn a little about United States History as they build their coin collection! If you have a young collector in your family, think of ways you can incorporate education with collecting. If your favorite coin to collect is a Buffalo Nickel, or a Mercury or Roosevelt Dime, you could also print the small 1.5″ x 1.5″ pictures to include in the flips. You can order perforated paper stock and set up a printing program within Microsoft Office to help you with the printing. If you would like advice, or need help doing this, just contact the Bel Mar Coin Club using the Comments or Reply form, or check the About Us page for contact information. If you visit one of Bel Mar Coin Club’s meetings or Coin Shows you can also inquire about the Lincoln Cent Historic Coin Flips. This entry was posted in Current / Recent Articles and tagged Coin Collecting, Coin Flips, Coins, Lincoln Cent, US Coins, US Mint. Bookmark the permalink.